Welcome to my personal website. This is not about CPS or AIBC, but about my passion for the community of Tampa Bay, and issues such as invisible diseases, shelter/rescue animals and other projects. I also post the resumes of good people whom I know are available at the moment. There are 1001 reasons to live work in Tampa Bay, and just as many reasons to visit. There are also plenty of reasons to become personally involved in projects that grow our region, build our communities and create a stronger, more inclusive, innovative, prosperous mixed economy. Hilton (my husband) and I have been involved in many projects to connect and expand local, national and international business in Tampa Bay. We see particular value in supporting our minority and regional bi-national chambers of commerce and other multi-cultural organizations. Diversity, differentness and inclusion matter. People change when they understand that it’s okay to be different, and that they’re full of differentness too. Most of my work involves culture, and inclusion, but this site emphasizes an area of difference that many people forget: “invisible diseases.” Millions of people struggle with chronic migraine, Meniere’s disease, Parkinson’s disease (members of my family have these) as well as many others (diabetes, lupus, ALS etc). Entrepreneurship is transforming Tampa Bay, and there are so many opportunities to work with youth, seniors, cultural fluency (culture admittedly overlaps with CPS) and in dozen of other areas. Youth entrepreneurship projects are a great outlet for my love of crafts, inherited from my Indian grandmother. 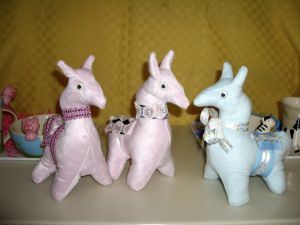 My current fascination is with making hats, although last year was alpaca ‘stuffie’ toys. 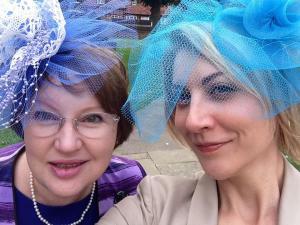 Glynis and Chaz Ross-Munro strut their hats at Lauren (Davies) and Lindsay Hunting’s wedding in Amersham, UK, Sept 2014. Glynis’s hat is made of antique, handmade lace. As a Myers Briggs iNtuitive and life-long learner, I will always have a vision for something that can be improved, usually in a collaborative and innovative way. As a Myers Briggs Judger who trains implementation, I will always seek to execute the vision. The only problem is time.